Many years ago there were no monkeys on the island however within the past year the vervet monkeys (chlorocebus pygerythrus) have grown in leaps and bounds and become the most vibrant species today on our island. Native to Africa they travel in social groups of anywhere between 5-25 at any given time. Their specific chant calls to each other and continual playful antics provide my camera and I non stop entertainment all day long. 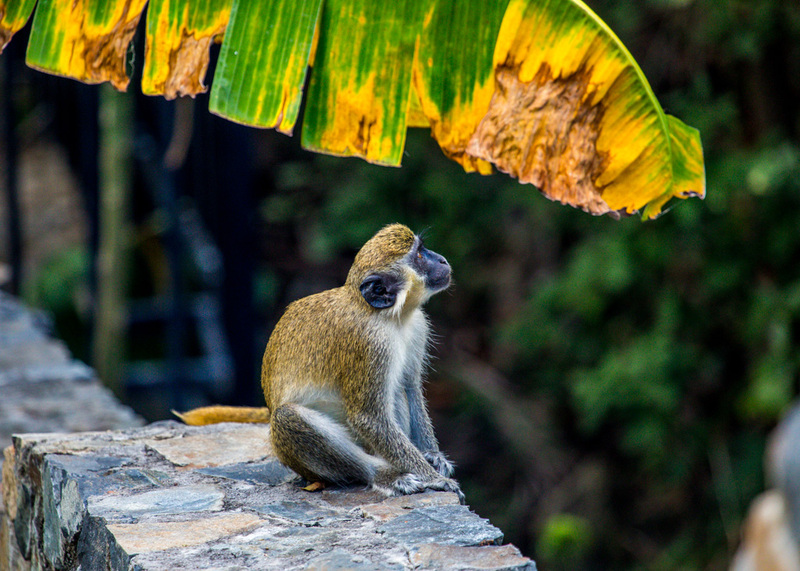 In this photo, a lone monkey stares up at a banana tree hoping his mates have left him some fruit (which they did not). 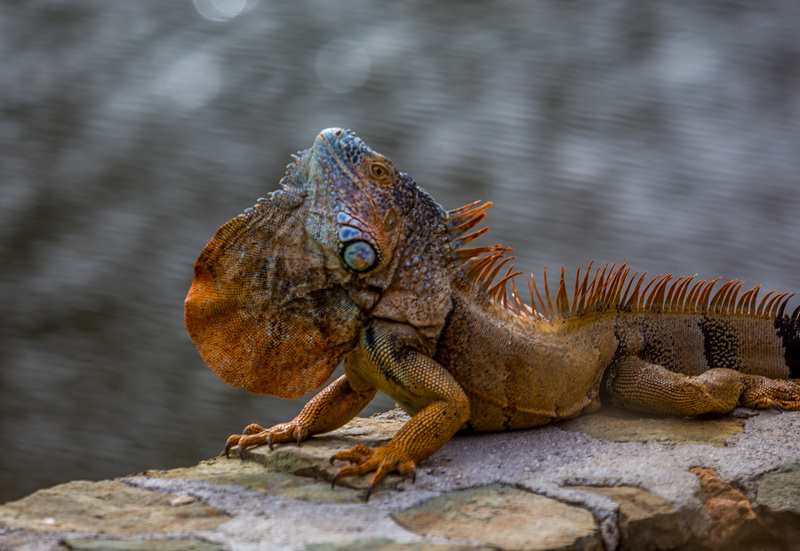 The green iguana, also known as the common iguana was first introduced to St. Maarten back in the mid 1990’s. Young Iguanas are extremely green but lose their color as they get older. This particular guy with his dinosaur like appearance and extremely unusual beautiful beige, orange and blue colors which are pronounced during breeding, posed for me at a private undisclosed location on the island. The fact that they are so locally sought after for making “soup” on the island makes them vulnerable. Hi, Both of these species are invasive. As alien invasive species they are damaging our heritage. I’m not sure this would be a good choice to promote these species. But it would be a good opportunity to tell everyone what is going on with those guys. Vervet monkeys and green iguanas are responsible for damages against our natural heritage and may lead to a disappearance of endemic species like Lesser antillean iguana. In few years, regulation of these species will be costly for us… However, your pictures are really great!